Francis O. " 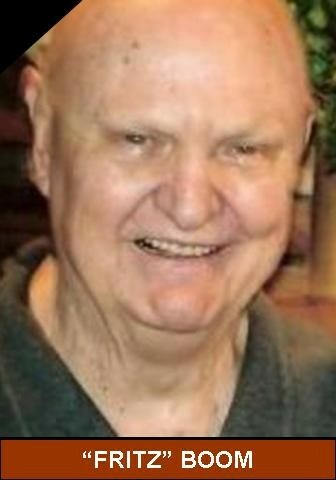 Fritz " Boom, age 82 of Moline died Saturday, January 7, 2006 after a courageous battle against cancer at Trinity at Terrace Park, Bettendorf. Cremation rites were accorded. A private memorial service will be held at Esterdahl Mortuary & Crematory, Ltd. 6601-38th Avenue, Moline. Inurnment will take place in Moline Memorial Park. In lieu of flowers memorials may be made to Pathway Hospice at Trinity at Terrace Park in Bettendorf, American Cancer Society and the Moline Humane Society. 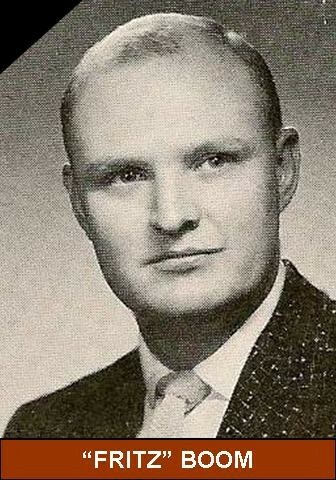 Francis was born October 4, 1923 in Rock Island the son of Francis Carl and Lillian Brondel Boom. He married Dorothea Gelomb on June 5, 1948. They were married for 57 ? years. Francis served in the Navy for four years from 1942-1946, having attended three colleges and graduating from Harvard as a Lt. He served as a supply Corp. Officer aboard the oil tanker U.S.S. Winooski in WWII. He enjoyed his time in the Navy. Francis finished his education at Augustana College, R. I., and earned his Masters Degree at the U. of I., Iowa City. Francis began his teaching career in New Boston, IL as principal and coach at the grade school. He then taught in Coal Valley, before being brought up to Moline High School where he taught math for 2 years in the old High School and then taught math in the new High School, where he was also a former assistant football coach. He retired in 1984. He loved teaching. He spent the next 20 years of his retirement in Arizona from October to April. Francis enjoyed reading, movies, bowling, football and his dogs. He was a loving husband, father and grandfather. SURVIVORS: Wife Dorothea; Daughter Cathy Best of Moline; Son Randy (Sandra) Boom of Moline; 3 Grandchildren Aaron & Adam Best and Heather Boom. 2 Step-grandchildren: Drs. Craig (Ann Marie) Nelson and Kim (Brian) Anderson. 4 Step-great-grandchildren. He was preceded in death by his parents and a sister Darlene Van Hoorebeck.